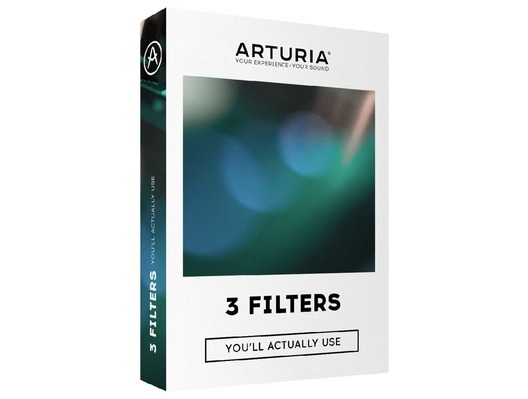 Here we have the Arturia 3 Filters You'll Actually Use. This incredible collection of plug-ins have been cleverly designed to replicate three classic synths; the Mini-Filter, the SEM-Filter, and the M12-Filter which have been lovingly recreated in digital form. It serves to both narrow down your choices in an overwhelming sea of plug-in options, while at the same time massively expanding your creative potential. If you're looking to spice up your tracks, add a bit of excitement to your audio, or just get a bit of tone control, the choice of plugins can sometimes be a bit overwhelming. There are hundreds, if not thousands of plugins out there, but which one will be right for your music? As a company full of musicians, we're faced with this choice almost every day. Wouldn't it be fantastic to be able to narrow our selection down to just a few titles? Titles that we knew were feature-packed, sounded awesome, and could be relied on. Titles that not only offered exciting modern features, but also gave us access to the sound of timeless analog tone controls. Titles that encouraged your creativity, instead of holding it back. This is why we created 3 Filters You'll Actually Use. Our heritage of accurately emulating vintage synths and bringing them back to life as software gave us the perfect starting point. To make our award-winning software instruments, we analysed and recreated every aspect of some of the most legendary synths ever created, including their coveted analog filters. Dr Moog's iconic, smooth ladder filter, accurately recreated and updated with modern features. 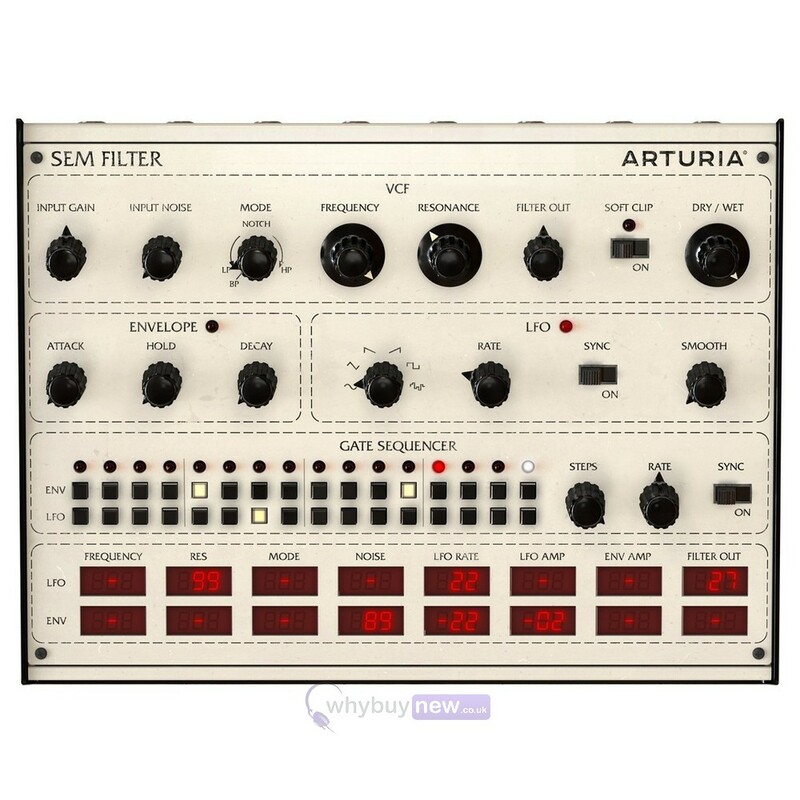 Simple, great-sounding state-variable filter with mode blending, analog soft-clipping and mod matrix. The master of complexity and depth, Tom Oberheims legendary 80s filter on steroids. Straight from the glorious days of the analog synth, the tone-controlling power of these 3 filters were immortalised in the Matrix-12, Bob Moog's synth, and SEM. Rocketing forward through time, the inimitable sound of these filters is now available as a standalone plugin, ready to change the way you create and mix music, and to become your go-to choice when you're looking for ways to creatively control the frequency content of your audio. "What Can These Filters Do?" "My software instruments already have filters, why would I need a filter plugin?" It's an exciting feeling to shape the sound of electric guitars, drums, vocals, brass instruments, and samples using the lush analog sound of famous synth filters. With this plugin bundle, it's easy to create atmospheric drops by low-pass filtering the high-end out. Or why not by cutting the bass with a high-pass filter, creating a bit of tension and expectation before a chorus, for example? The fun doesn't stop there. Beyond simply using the filters as they were originally designed, you can also use one of the many added features to step things up. Start experimenting with envelope programing, push your input gain and saturate your signal with analog drive, or add a bit of randomness to your sequences. You can also map your controller keyboard to any of the 3 Filter's MIDI CC parameters, letting you adjust and perform using any of the filters on the fly. This is great for use in a live setting, giving you instant, hands-on control. Beautifully recreated vintage effects dont come easy. Using our exclusive TAE modelling technology, we are able to map out the sound and behaviour of electronic instruments, right down to the level of individual components, to create accurate software emulations of these groundbreaking synths and keyboards. As our modelling methods examine the core components, we found that we were also able to isolate certain features. The thought of using Dr Moog's famous ladder filter, or one of Tom Oberheim's multi-mode marvels on any audio source in our DAW excited us. We thought it would excite you, too. With 3 Filters You'll Actually Use, we not only give you access to these fabled filters, we have also fleshed each plugin with creativity-focused bonus features that take them all to another level. 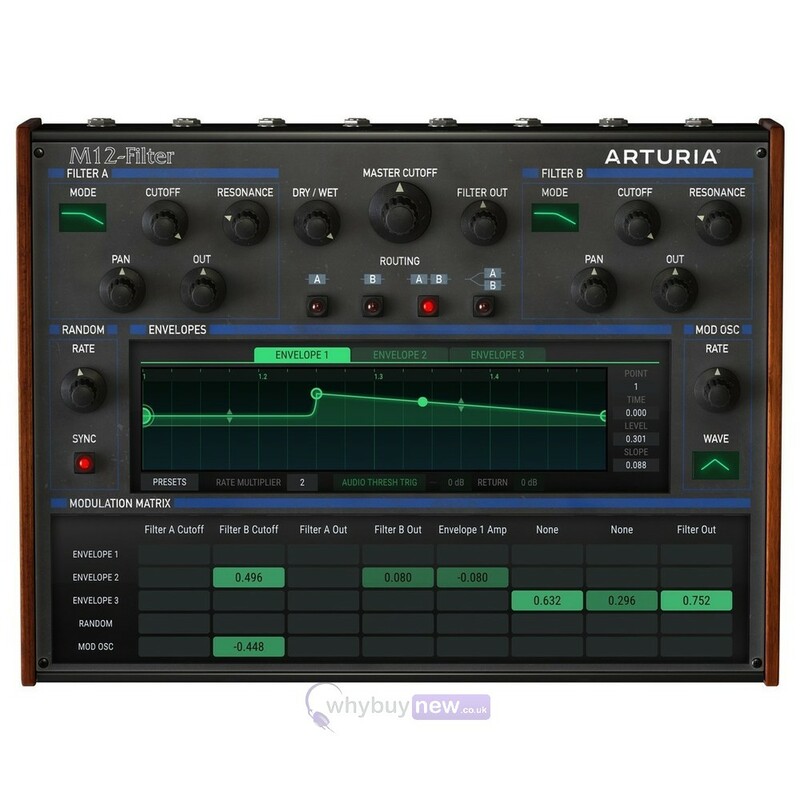 From M12-Filter's modulation matrix and programmable envelopes to Mini-Filter's sequencer, we know that youre going to love exploring and experimenting with these filters to enhance your music. 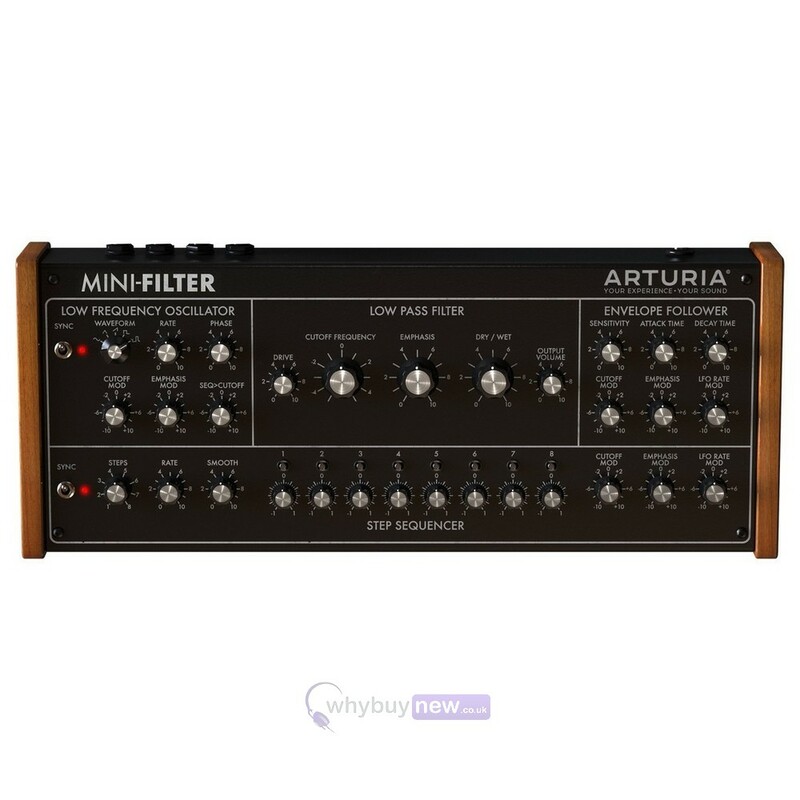 Each plugin combining classic tone control with exciting modern functionality, so that whenever you need a filter in your productions, Arturia has you covered. Each filter can be used in your DAW as a VST, AU, AAX plug-in. Rich modulation possibilities from within the filters plugins. More than 100 High quality presets from award-winning sound designers. 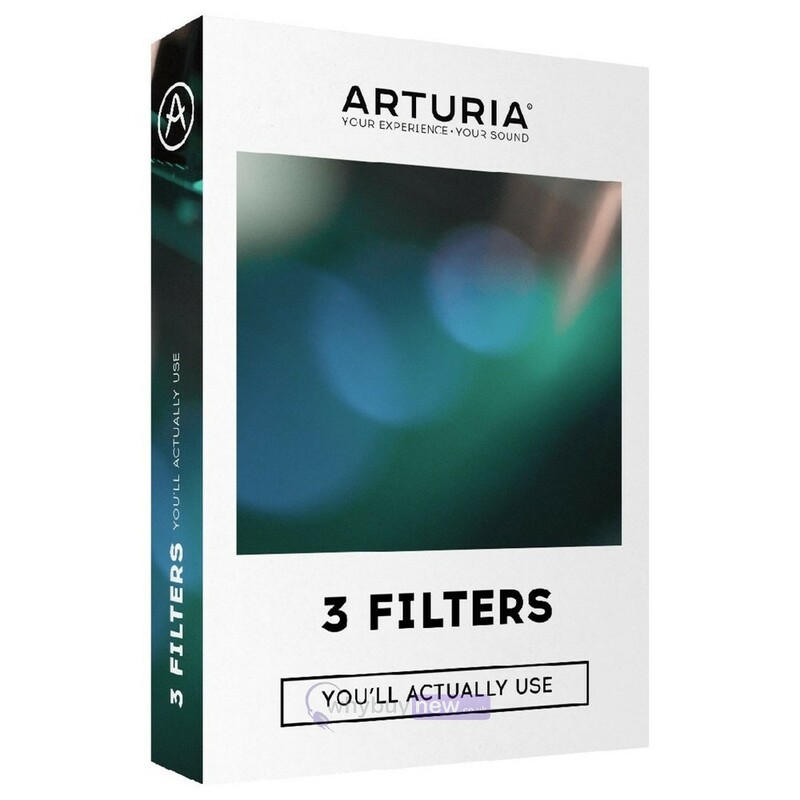 Arturia's proprietary technology, TAE, ensures that each analog modelling filter sounds and behaves exactly like the original.